Today I’m sharing with you my absolute favorite tool for increasing self-awareness! Because self is the prime ingredient in feeling fulfilled in your day to day life, your increased self-awareness from this tool will have a direct currency conversion into real fulfillment… When you APPLY the practice. 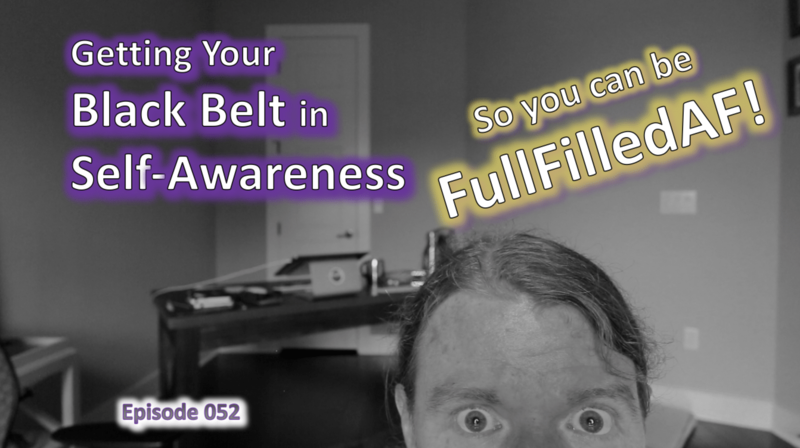 This episode’s practice of getting more fulfilled through self-awareness is not white belt or even brown belt level. It’s black . . .